Getting around in the Amherst area by public transportation (mainly PVTA buses) is easy. 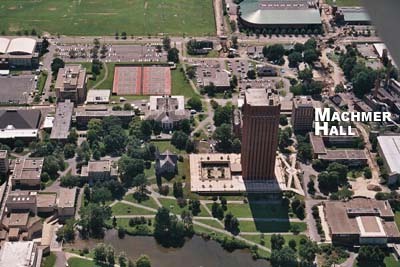 Many of our graduate students commute to the campus from its surrounding cities such as Sunderland, Northampton, and Belchertown by the UMass Transit System which is free of charge with a valid UCard (student ID card) during academic semesters. You may get your UCard at 104 Franklin Dining Hall. Visit the UCard office with a valid photo ID (e.g., passport, driver license). You may purchase a parking permit online at the Parking Services account site, or you may do so by visiting the office. Bring your valid driver license and UCard, vehicle registration document, your TA/RA contract (because it may not be in database yet), and payment to Parking Services Office to purchase a parking permit. Yellow 12, Green 25, and Blue 45 and 63 are close to Machmer Hall. Here’s a map of parking lots. Also you may apply for a new lot or a waiting list for a new lot, or renew your current parking permit for the following academic year through the Parking Services account site.